Scoliosis pain is an unexpected result of atypical side-to-side spinal curvature. 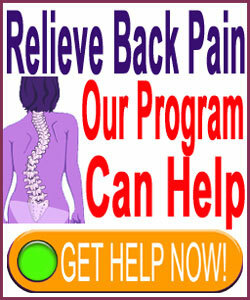 Most cases of scoliosis are not painful to any significant degree. However, there are circumstances wherein scoliosis can generate pain through various mechanisms, including neurological compression and mechanical dysfunction in the vertebral column, organ compression in the torso and circulatory vessel compression. Medical science has proven definitively that mild scoliosis is inherently an innocent condition. It is not generally symptomatic in any way, even though it does create alteration of bodily form and sometimes changes in functionality. Scoliosis is certainly not inherently pathological, as was theorized many years ago. However, since scoliosis does have the potential to become a real health problem in rare circumstances, it should always be evaluated and possibly treated, when necessary, by a qualified specialist in spinal orthopedics. This very important dissertation profiles the symptomatic potential of scoliosis and its ability to generate pain through various mechanisms of action. We will also discuss how incidental back and neck pain is often mistakenly blamed on scoliosis and the real reasons why these symptoms typically exist. Nerve compression can occur to the spinal cord or nerve roots due to misalignment of the central spinal canal eliciting spinal stenosis or misalignment and reduction in patency of the neural foramen, resulting in foraminal stenosis. Only a minority of cases of either type of stenosis has the capability to compress neurological tissue. Mechanical pain can exist due to instability or dysfunction in the facet joints due to severe curvatures or due to skeletal interactions caused by odd angles of vertebral joining inciting symptomatic arthritic changes. Unstable scoliosis spines might put a huge strain on the muscular anatomy, potentially causing imbalances or RSI conditions that might result in painful cramping. Scoliosis often results in changes to lordosis or kyphosis, as well. In some circumstances greatly diminished front-to-back spinal curvatures can be directly painful or dispose the patient towards greater likelihood of suffering traumatic injury to the backbone. Scoliosis can be a contributor to spondylolisthesis, degenerative disc disease and herniated discs. While these conditions are also usually asymptomatic or only symptomatic for a short duration, severe chronic pain is also possible in less common anatomical profiles. Scoliosis can cause pelvic misalignments that might create pain in some postures or even be a contributor to pelvic floor dysfunction, especially in women. Scoliosis can compress circulatory vessels, incite thoracic outlet syndrome, compress internal organs and therefore enact potentially serious concerns for various bodily systems and locations. General back or neck pain is not a common symptom of mild to moderate scoliosis. Even severe and extreme cases of atypical side-to-side curvature are not generally painful unto themselves. However, this fact does not prevent many patients from being told by doctors, chiropractors and various types of therapists that their incidental pain is a result of their scoliosis. In most cases, this verdict is unenlightened and incorrect according to the latest treatment statistics. There remains a very prevalent trend in the modern healthcare industry to demonize any structural abnormality, despite there being no evidence to support any expressed pathology. Basically patient can visualize the structural issue clearly and is therefore easily led to believe that the anatomical alteration must be a “problem”. This is usually a fabrication, set in motion to earn the care provider lots of money from a patient who does not even require treatment (at least not for their scoliosis). We have concluded that the majority of minor scoliosis patients who receive treatment specifically for pain generated by their curvatures are misdiagnosed and are actually suffering from some other type of causative process. This explains why so few of these patients feel better despite ongoing care and often, eventual surgery. After all, the true reason for their pain remains elusive and therefore will never resolve. 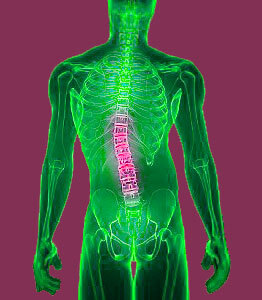 According to factual research science, only a small percentage of scoliosis is symptomatic at all. Remember, this means that the curvature itself is causing the pain, not that there is no pain at all. It is certainly possible for scoliosis patients to demonstrate back or neck pain from other sources, just like anyone else in the “typical” spinal population. The number of symptomatic scoliosis patients accounts for only between 1% and 3% of all diagnosed cases worldwide. Furthermore, most painful cases are classified as coming from a known process or source, such as functional scoliosis due to injury, neuromuscular scoliosis in association with dramatic disease or congenital scoliosis enacted by a serious birth defect. Virtually all cases of common idiopathic scoliosis are asymptomatic and should remain so, even if they progress to clinically significant levels.